Ah, yeah, I wish I was posting from Japan as well…sigh. My older brother sent me this On the Table shot of breakfast at the Toyoko Inn in Asakusa, Japan. 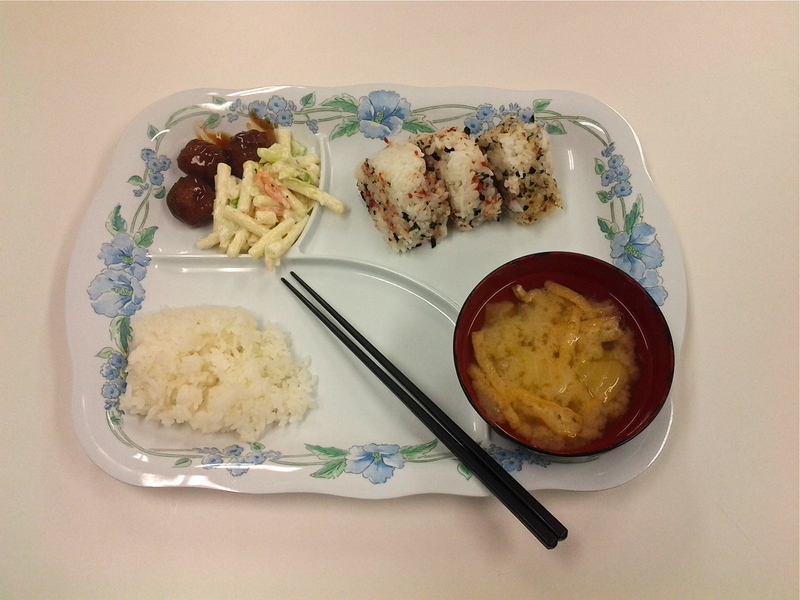 It’s comprised of rice balls, miso soup, pasta salad, meatballs and sticky rice. I love the composition of the food, and I’d love to know what’s in those sushi rolls, but the tray might be the best part of all! My next trip will not be taking me to Japan, but to Brooklyn for an artisanal tour of everything from coffee to chocolate..watch for the posts..